I recently read a story about a woman named Ruth from South Asia who was expected by her parents to be a boy. Her mother and father even sold a field and gave the money to a priest to pray to the gods for a son – since they already had three girls! But, Ruth was not a boy; she was a girl. They hated her and made her work. They didn’t nourish her or love her. Until one day Ruth asked the question,” Why do you hate me?” And it was that day her father yelled the answer,”You should have been a boy!” From that day on, Ruth felt alone, afraid, and unloved. I have never felt welcome in places like Vegas or walking by a “spiritual consultation” (psychic) office. I don’t feel like this is where I belong. Earth is not my home and I don’t want it to be. We are called by Christ to flavor the Earth and be it’s light. You are the salt of the earth, but if salt has lost its taste, how shall its saltiness be restored? It is no longer good for anything except to be thrown out and trampled under people’s feet. “You are the light of the world. A city set on a hill cannot be hidden. Nor do people light a lamp and put it under a basket, but on a stand, and it gives light to all in the house. In the same way, let your light shine before others, so that they may see your good works and give glory to your Father who is in heaven. Even though we live in a filthy place, we were called here to serve. We are the Father’s servants, so we must imitate Him. Just like He came and passed through the earth and came only to serve, so must we. Going back to Ruth, if no one had given their lives up for Christ, she would not be where she is today! Ruth felt she must show submission to her father, so she went home and went to his feet and tried to touch them (a sign of honor), but her father kicked her in the face. Feelings hurt, Ruth left and went to Bible College and graduated three years later. She lived away from her family. 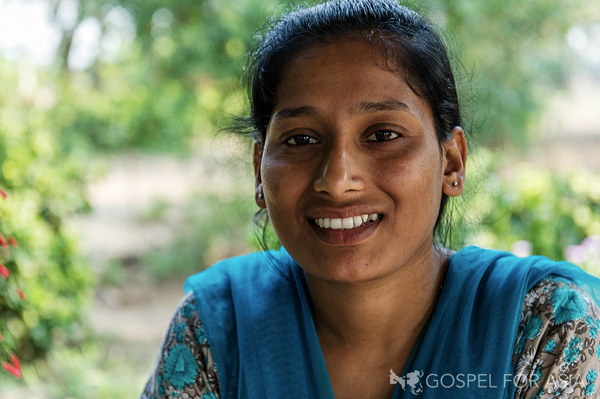 The pastor who lived in her village called her one day and told her to come home. “My father is unkind to me, so I cannot go back,” Ruth told him. But, Ruth received an incredible answer. “Your father is a believer.” Ruth was stunned! Her father? a believer? So, Ruth returned and her father was there waiting for her. Once again, she bent down to touch her father’s feet, and instead of kicking her, he picked her up before she could touch him and for the first time in Ruth’s life she received a hug from her father. So you see, the only way to somewhat fix this gross world we live in is to give our lives up to Him and serve, pray, and give. I absolutely love the story of Ruth! If those women missionaries wouldn’t have given up their lives to Christ for His Will, she probably wouldn’t be where she is. WE are the instruments of Christ. When He pushes our keys and strums our strings, we make beautiful music for him. HE will use us for His work to reach the un-reached like Ruth.